An eminent Swiss writer. Born in Zurich, since 1968 she has been living in Milan. This is in this Italian city that she got to know Thomas Bernhard and Ingeborg Bachmann, as well as her future husband Robert Calasso – a famous Italian essayist and editor. In 1989, her book I beati anni del castigo (Sweet Days of Discipline) earned her the Bagutta Award. Josip Brodski has reviewed this work in the following words: “Reading time is approximately four hours. Remembering time, as for its author: the rest of one’s life”. Jaeggy is not widely known in Poland. Two of her novels have been published in this country to date: the aforementioned Sweet Days of Discipline and Proleterka, as well as a collection of seven short stories titled La paura del cielo (The Anger of Heaven). The heroes of the latter are unhappy people in a dilemma who establish relationships which only deepen their feelings of anguish and loneliness (all three books have been translated into Polish by Magdalena Tulli). 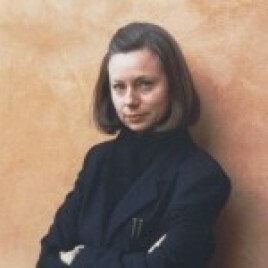 In March 2011, her essays Vite congetturali (Polish title: Żywoty domniemane) appeared in Polish, offering portraits of four famous outsiders of the literary world – the English-born Romantic Thomas De Quincey, the poet John Keats, the French Symbolist Marcel Schwob, and the Swiss writer Robert Walser. Critics emphasise that her writing style is characterised by an outstanding beauty of disciplined and economic language distinguished by sophisticated, yet never flamboyant, similes – language that “bronzes with its icy beauty.” During the 3rd International Joseph Conrad Literature Festival, she took part in the Women Under Pressure (Kobiety pod presją) discussion hosted by Beata Stasińska.